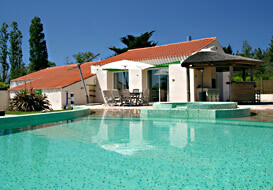 Take your next family holiday in the Vendee, west coast of France. 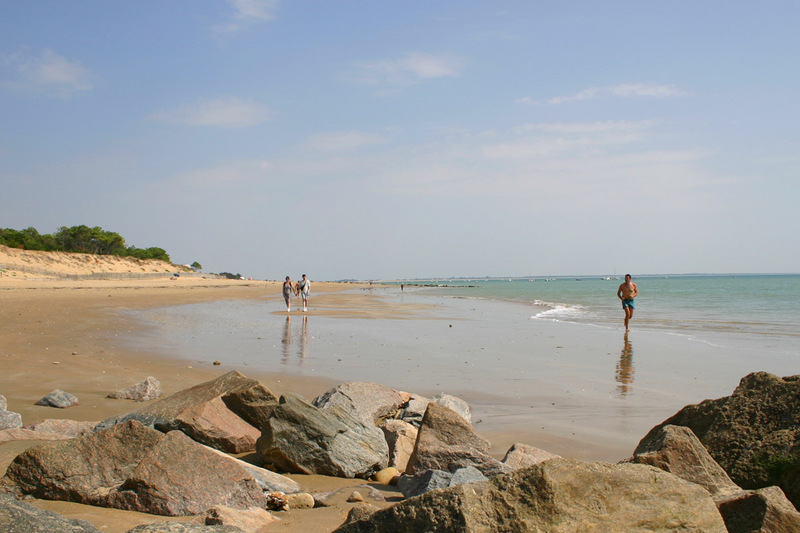 Our Vendee tourist information page gives links to some useful information for planning your holiday. 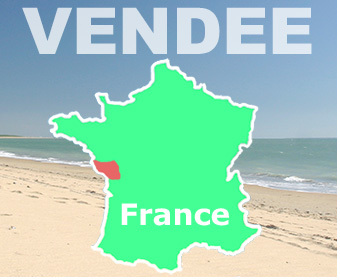 See our Vendee Directory for places to visit and things to do in the Vendee, where you can search by theme and by area. Eech entry has a link to the attraction to find out more, a location map and the opening dates and times. 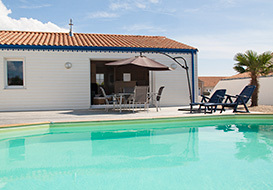 For family summer holiday rentals or low season get-away breaks you will find a great choice of self catering holiday accommodation, gites, cottages and villas in the Vendee. 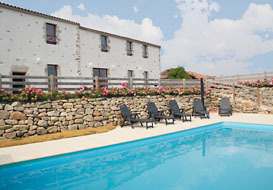 Sleeping 6, private pool, rural location. 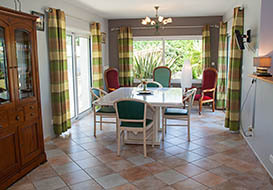 You can also see our Vendee Directory for holiday rentals in the Vendee, where you can search by area. Each entry has a link to the owner or agent's website to find out more, a location map and guide prices. 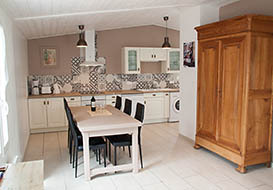 For those who prefer touring around and taking a few days here and there the Vendee has an excellent choice of bed and breakfasts. 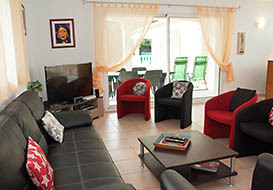 They are also ideal for a stop-over in the Vendee when travelling further afield. 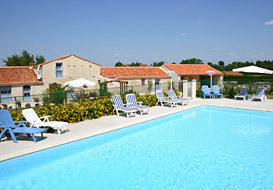 See our Vendee bed & breakfast page. for more information. 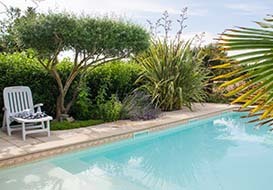 See our Vendee Directory for B&B in the Vendee, where you can search by area. Each entry has a link to the owner's website to find out more, a location map and guide prices. 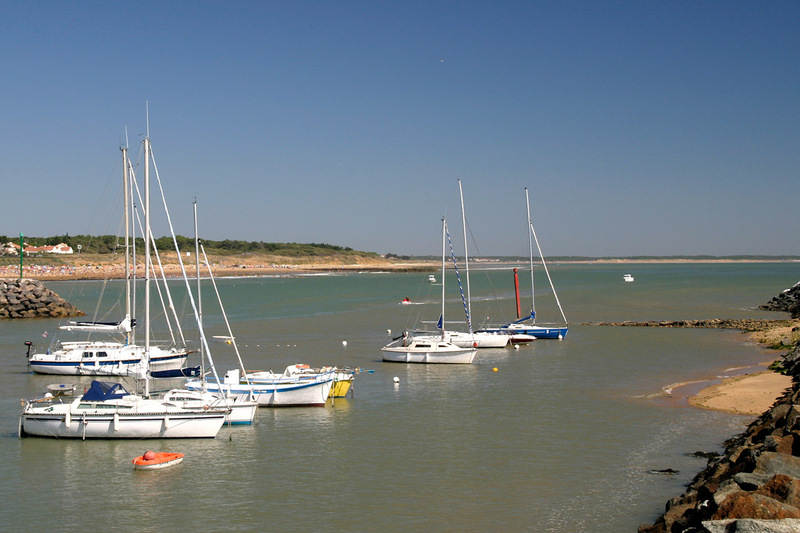 From the western cross-channel ferry ports you can easily drive to Vendee in the day without an overnight stop, making it easily accessible for families with children. From Calais, count on 7 to 8 hours - still feasible in a day's drive. See our Ferry travel page for Ferry crossings to the Vendee, distances from ports, ferry companies. 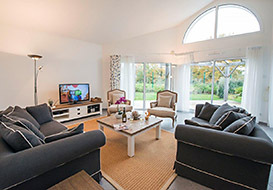 For fly-drive to the Vendee you have the nearest choices of either Nantes airport or La Rochelle airport and Poitiers as a possibility further afield. The budget airline companies have regular flights to these airports and car hire is easily available at each offering a very convenient alternative to the cross channel ferries and often working out very competitive. 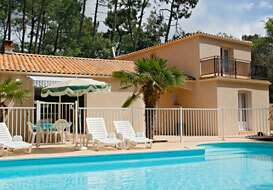 See our Air travel page for flights to the Vendee, airports, budget airlines. 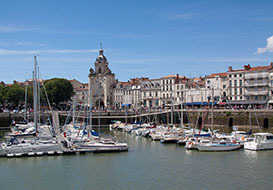 Situated on the west coast of France between Nantes to the north and La Rochelle to the south, the Vendee is one of France’s best loved holiday destinations. Its combination of fabulous beaches and charming countryside make it perfect for family holidays. The superb coastline has some immense sandy beaches with safe bathing, selcuded rocky coves and also some good surfing spots. 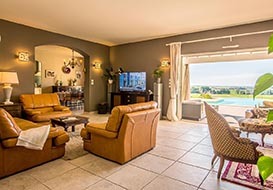 The magnificent coastal resort of Les Sables d'Olonne offers a great family holiday destination. The famous "Green Venice" area offers a unique attraction, where you can spend a day exploring the network of tree-lined canals, by punt or canoe. 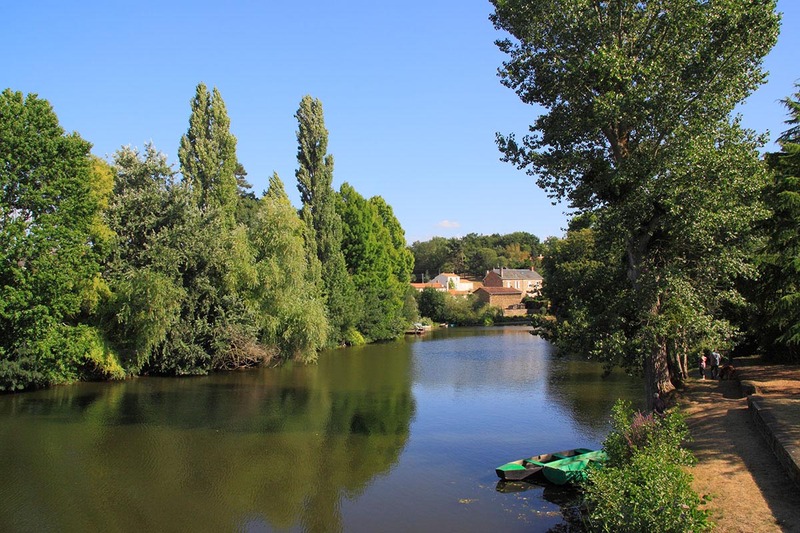 The Vendee also benefits from one of the best theme parks in the world - "Le Puy du Fou". An immense site offering an unforgettable trip through different historical periods, using some of the most highly advanced display technologies and with an incredible team of actors, stuntmen and animal trainers. If there is one visit not to be missed, it's this one ! Further afield to the south, the charming port and historic town of La Rochelle is within easy reach and makes a great day out. There is also the city of Nantes to visit, just to the north as well as Poitiers to the east with its well known technology theme park Futuroscope. 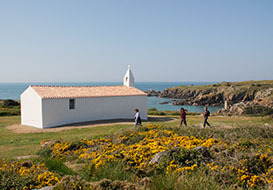 You can also explore the islands off the coast - Noirmoutier, accessible bridge, or the causeway at low tide; Yeu, which is a cyclist's paradise with breathtaking scenery, accessible by boat from several of the Vendee ports. 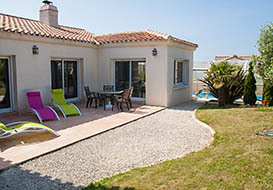 Villas for 6 and 8, on the Vendee coast, near Les Sables d'Olonne. Easy cycling to beaches and amenities. Ideal family holiday destination. 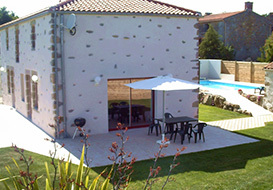 Charming house in a lovely village location (bar / shop within walking distance). Large heated pool. 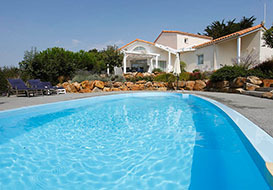 Only 7 miles from the beaches at La Tranche sur Mer. 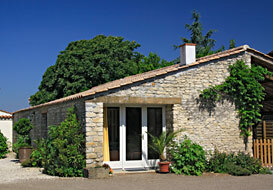 Character villa in a quiet rural location, 7 miles from the coast at St Gilles. Cycling distance to village amenities. Jacuzzi and sauna. 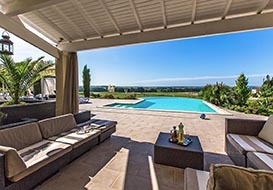 Spacious quality villa in this popular village on the coast. Cycling distance to the beach, port and village amenities. Confortable interior. On the outskirts of the village, within cycling disatance of amenties and the beach. Confortable interior. Heated pool with an enclosure - ideal for early and late season. 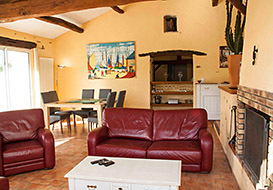 Charming cottage in a rural location just outside the coastal resort. 1½ miles from town amenities, 3 miles from the beach. Comfortable interior & secluded enclosed courtyard. One of several sumptuous villas in an exclusive residence complex on the coast. 2km from the nearest beach. 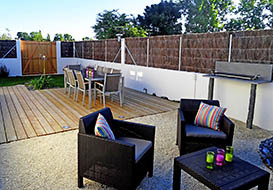 Available on site : Bar, restaurant, shop, tennis court, play area, cycle hire. 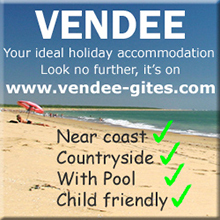 Holidays in Vendee now offers you a comprehesive directory of accommodation, holiday activities places to visit, restaurants and more. Outskirts of a coastal resort town. Cycling distance to the beach and town amenities. Confortable modern interior and secluded walled garden. Two villas, for 6 and 8-10. 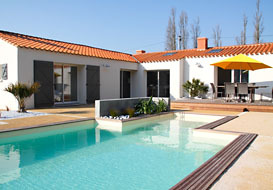 Spacious farhouse with 6 bedrooms and 4 bathrooms, private heated pool. 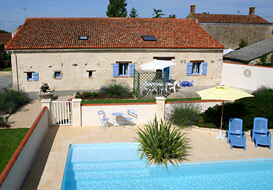 Rural location with easy acess to a bathing lake and the vendee coast. Ideal for large families.